You don’t have to give evidence at a public hearing if you don’t want to, but many of our clients are brave enough to go public. We strongly encourage any of our clients to give evidence in person. It’s the strongest weapon you have in your armoury in the fight for justice. In my experience, the most powerful and effective way to achieve justice is by delivering your evidence in person before the Commission. If we can see value in your story being heard at a public hearing, and you are keen to appear as a public witness, then we will make an application for you to appear. The Royal Commission can also summons people to give evidence. This can include victims, alleged abusers and representatives from institutions. Appearing at a public hearing is a bit like appearing in court. 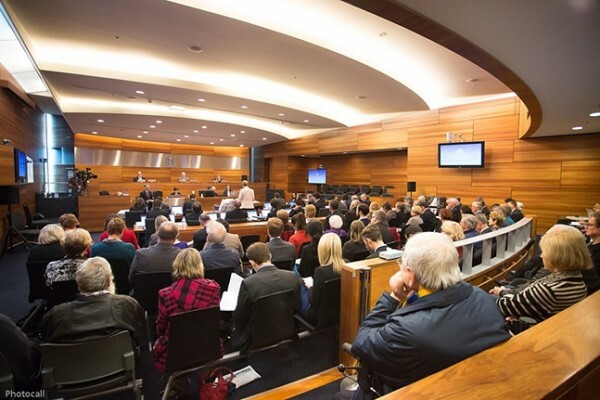 Public hearings are formal legal proceedings, so there are legal teams, a judge and a witness stand which is where you will give your evidence. The Royal Commissioner will also allocate you a witness support officer, who will be in touch with you before the hearing to answer any questions you might have. They will also sit with you during the hearing to explain what is going on and what you’re required to do. They will be available to support you after the hearing, to answer your questions and organise any counselling you may need. 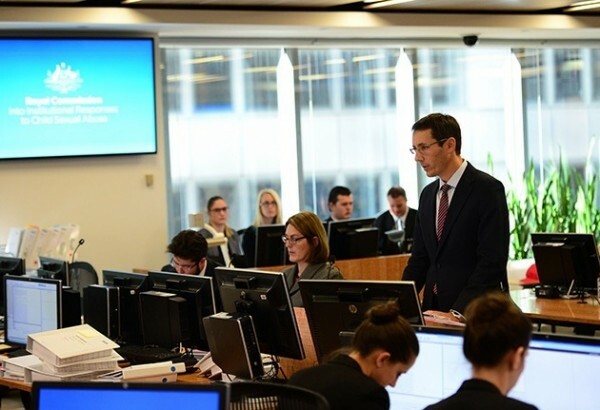 Peter and the Kelso’s team will hand pick a barrister to represent you at the public hearing and you will get to meet them before they present your evidence. Peter will brief the barrister, so they have a thorough understanding of your story. This will help them to ask you the right questions, so it is easier for you to tell the most important details of what happened. It means you don’t need to worry about forgetting anything important. You just need to provide honest answers to the questions you are asked. Together, Peter and your barrister will ensure your testimony conveys the true gravity of the abuse you experienced. That will help to strengthen the chance of you receiving an apology and compensation after the Royal Commission. Will you be cross examined at a public hearing? 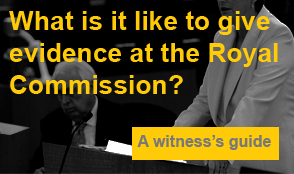 The Royal Commission uses evidence presented at public hearings to inform its recommendations. To make sure this is a fair process, the Commission needs to hear both sides of every story, which means any institutions or individuals that are accused of wrong-doing will get to have their say. This means that you are likely to be cross examined by their lawyers. Most people feel anxious about being cross examined, which is understandable, but rest assured, you won’t be cross examined by your abuser. You just need to answer the questions you are asked honestly. Together, Peter and your barrister will be on hand to make sure that the questions you are asked are reasonable. Remember that we will also have the opportunity to cross examine your abuser and representatives from the institution where you were abused. 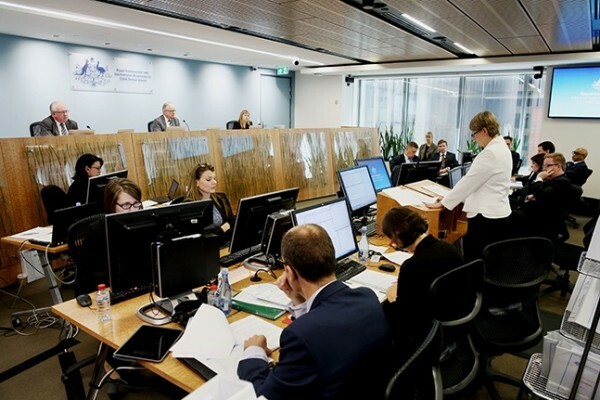 We will understand exactly what you want to achieve from having your case heard at the Royal Commission, so this will influence the questions that we ask. For many clients, this process has shone light on unanswered questions that have been troubling them for years. Who can go to a public hearing? Anyone can attend the public hearing. 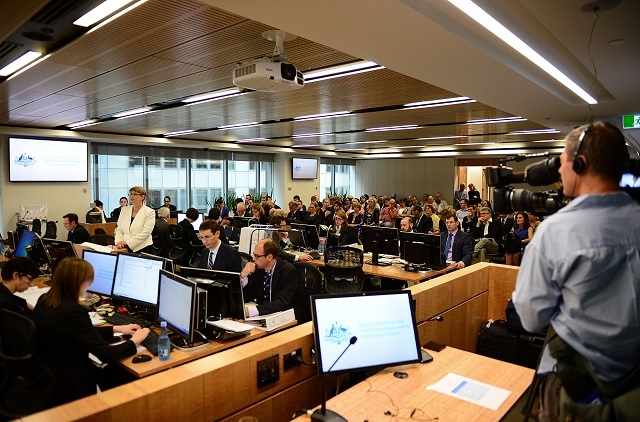 It is also streamed live on the Royal Commission’s website, so people who aren’t in the room can see it too. Nearly all of the leaders of the different religious bodies and other institutions we have looked at in public hearings have sat in the body of the hearing room throughout the evidence of the victims. While this must have been distressing, I have no doubt that their presence has helped them to gain an understanding of the survivors’ experience. For many who have suffered, it offers continuing affirmation of any apology they have been given. Journalists go to public hearings. What if they want to talk to me? While journalists are not allowed at private sessions, they do go to public hearings and report on what happens there. This is a good thing, because it helps to build the general public’s understanding of how commonly child sexual abuse occurs in institutions. The media puts the spotlight on the long-term damage it causes. This widespread publicity helps to put pressure on governments to make sure the Royal Commission’s recommendations are adopted. It gives the Royal Commission more teeth. If a journalist wants to interview one of my clients, the journalist deals with Peter first. Our clients appreciate that Peter acts as a buffer for them, so they don’t feel pressured or vulnerable. My clients feel safe, because they know I have their best interests at heart, whether they want to talk or not. I negotiate with journalists about what my client wants to say and whether they are happy to be interviewed and photographed. If you’re happy to be interviewed, we help you work out what to say, so that the interview helps to put pressure on abuse perpetrators. We have never had a client who has not been presented favourably in the media. They have felt completely validated by stories about their experiences. Even journalists at the Royal Commission commended me for my dignity, acknowledging the strength it must have taken to stand tall and speak the truth. The Commission is gaining more and more momentum as public interest and support intensifies. The Royal Commission are calling for more victims and witnesses to come forward now. We want to help you make sure you get the best possible chance to achieve justice.